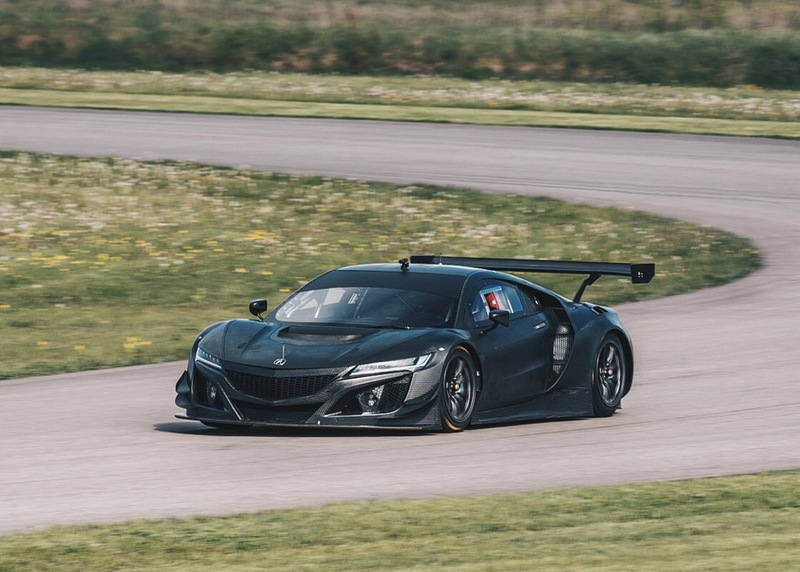 The race-winning Acura NSX GT3 race car will be offered for sale around the world ahead of the 2018 racing season, it was announced today by Acura, Honda Performance Development and Honda R&D. 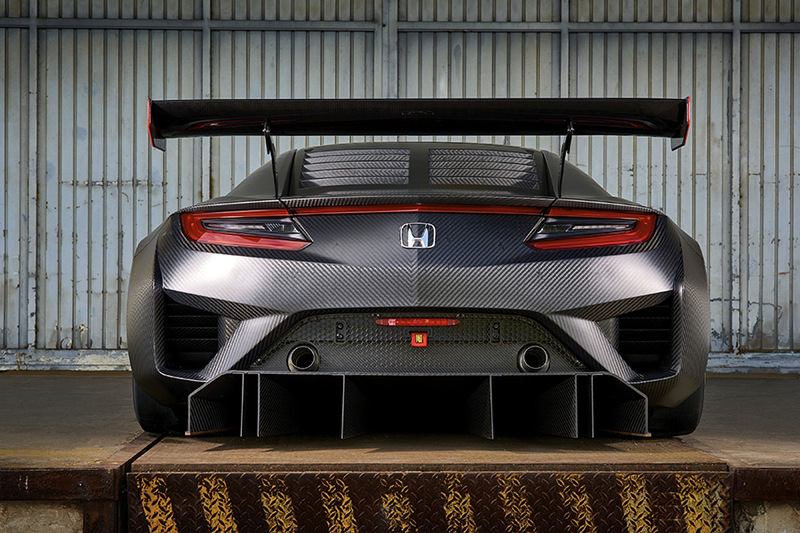 The exposed carbon, race-ready NSX GT3 is offered for sale at a starting price of €465,0001. Additional options and complete customer support, including parts and service, training and engineering services are available. 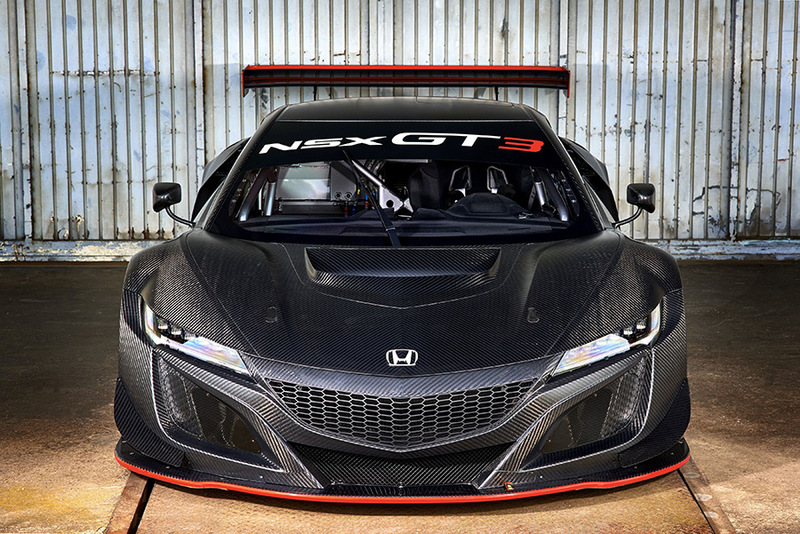 Orders for the NSX GT3 are being taken now by HPD, responsible for sales in North America, at AcuraClientRacing.com. 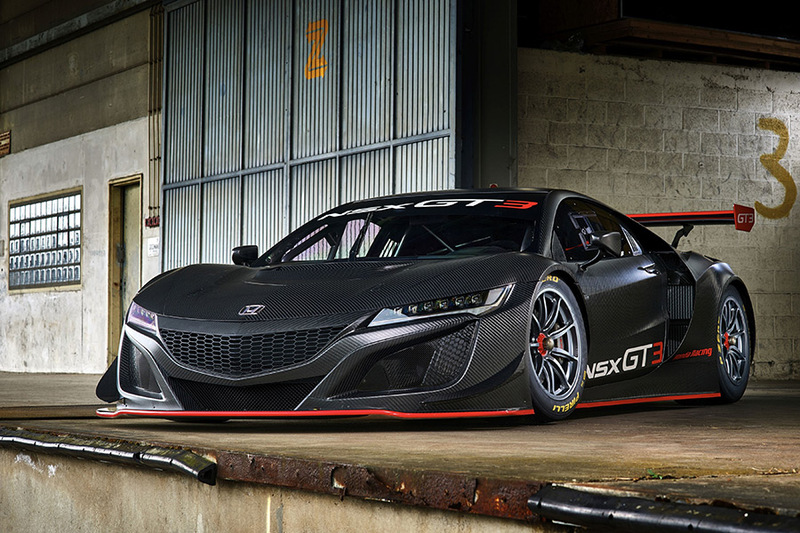 JAS Motorsport is responsible for NSX GT3 sales in Europe, the Middle East and Asia, excluding Japan. MUGEN2 is responsible for sales in Japan. 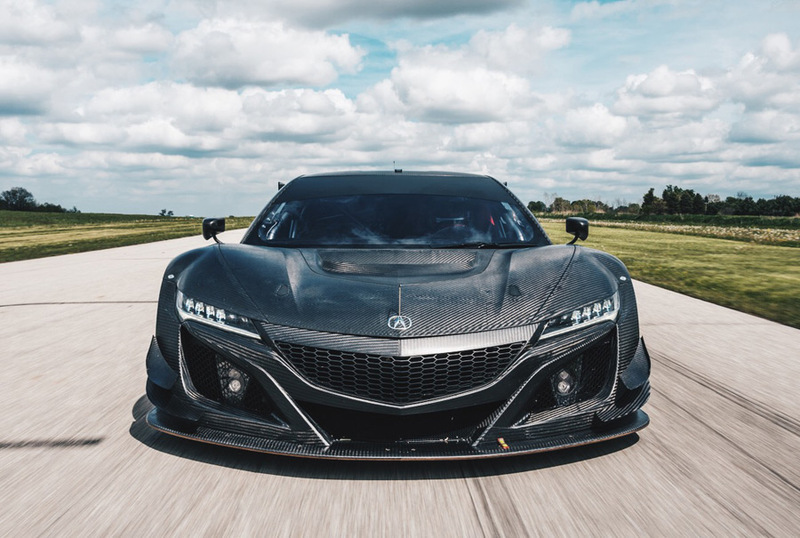 The NSX GT3 chassis, including the multi-material body structure and TIG-welded chrome-moly roll cage, is built alongside the production NSX at the Performance Manufacturing Center (PMC) in Marysville, Ohio, exclusive worldwide manufacturing facility for the NSX3. The PMC also operates a repair facility for the NSX GT3. The production-based 3.5-liter, twin-turbocharged V6 racing engines are built alongside their production-vehicle counterparts at the Anna Engine Plant in Anna, Ohio4. 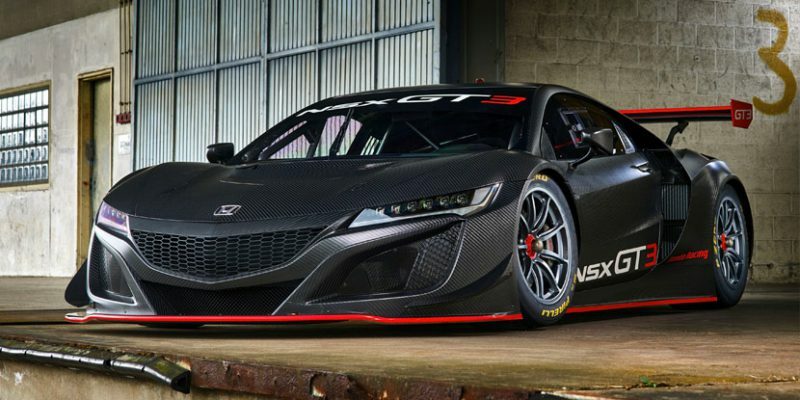 The racing engine uses the same design specifications as the production NSX, including the block, heads, valve train, crankshaft, pistons and dry-sump lubrication system. 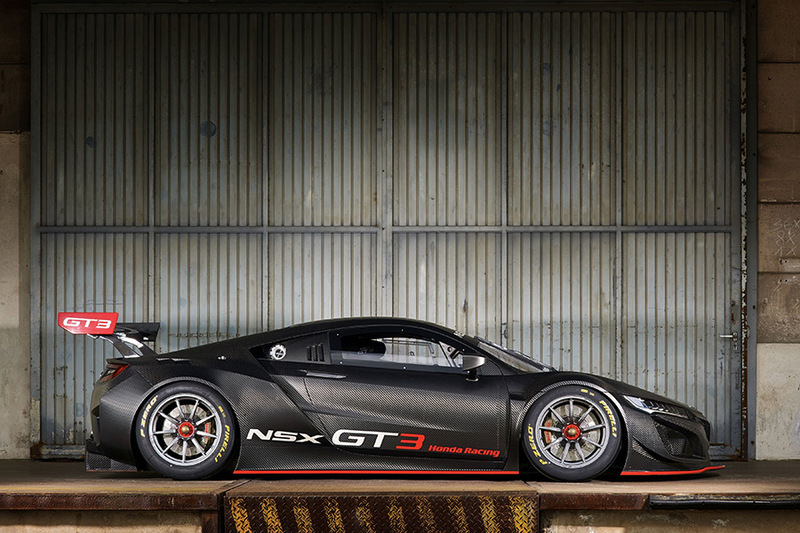 A six-speed, sequential-shift racing gearbox delivers power to the NSX GT3’s rear wheels. Final assembly is completed at JAS Motorsport in Italy. Competing in the GTD class of the WeatherTech SportsCar Championship and the GT category of the Pirelli World Challenge in 2017, the NSX GT3 races against premium automotive brands including Aston Martin, Audi, BMW, Ferrari, Lamborghini, Lexus, Mercedes-Benz and Porsche at a wide variety of North American racing circuits, ranging from the tight confines of street courses such as Long Beach and Detroit to traditional road courses like Road America, Canadian Tire Motorsports Park and the wide-open Daytona International Speedway. 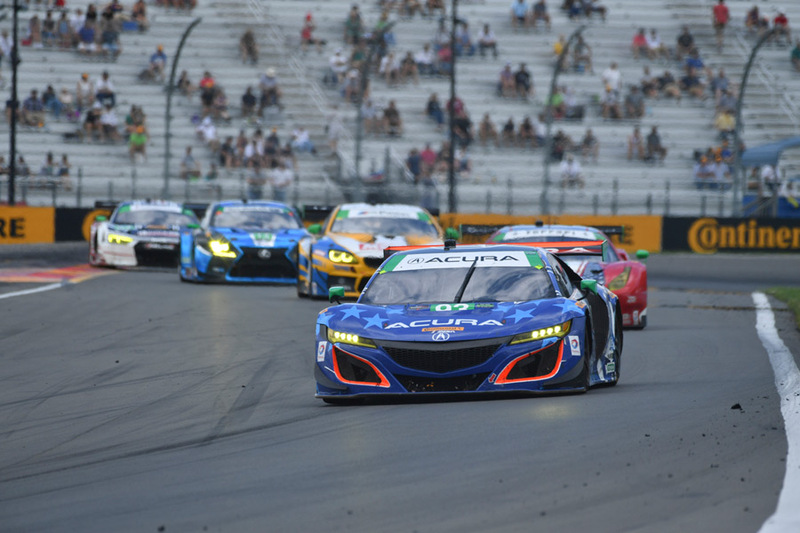 HPD’s Acura and Honda engines have recorded 80 race wins at endurance sports car races around the world, with 70 of those victories coming in the HPD-developed line of sports prototype cars. For more information about HPD and the company’s racing product lines, please visit http://hpd.honda.com. Acura is a leading automotive luxury nameplate that delivers Precision Crafted Performance, an original approach to technology and design that creates a new driving experience. The Acura lineup features six distinctive models – the RLX premium, luxury sedan, the TLX performance luxury sedan, the ILX sport sedan, the 5-passenger RDX luxury crossover SUV, and the seven-passenger Acura MDX, America’s all-time best-selling three-row luxury SUV. 2. “MUGEN” is a trademark of M-TEC Co., Ltd.
Honda acura/nsx How much in the price here in philippines? Thank you.